The automatic espresso machine offers a great compromise between controlling every aspect of your coffee and not having to worry about what your espresso machine is doing. It’s great for people who are selective about their coffee but who also live busy lives. And for those who might not have time to check equipment each and every single day! 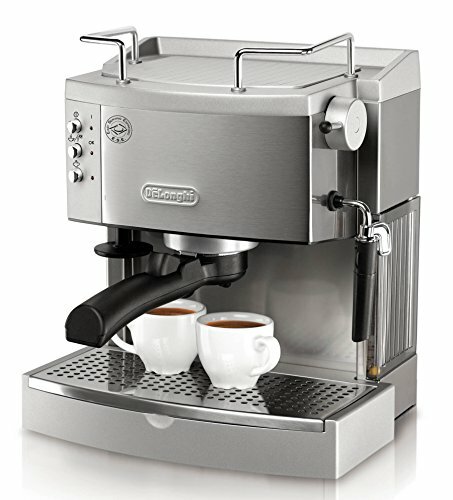 There are many, many automatic espresso machines available, and the truth is that the category is not clear-cut. For instance, some machines will offer a semi automatic option as well as an automatic one, so you can have more control when you want it. Others will offer options also included in the super automatic machines, but are considered automatic espresso machines because they don’t offer every option out there. So in my opinion the best way to categories machines is either semi automatic or super automatic. In order to make sure than an automatic espresso machine is right for you, it’s important that you know how they work. Most coffee connoisseurs care a lot about how each cup is produced, so you’ll want to know for sure that you’re happy with the process before you make a purchase in this category. 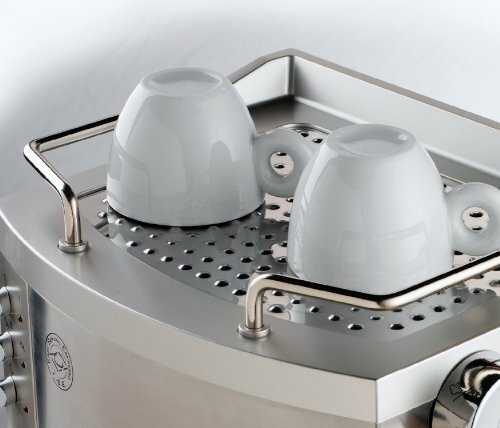 Some allow you to set everything from pump pressure to water volume and more, while others will simply ask you what size espresso you want (usually your options will be one short shot, two shots short, one shot normal or long, and two shots normal or long) and will brew from there. Most automatic machines will require you to grind your own beans or insert an espresso pod, so you will retain that control over every cup of espresso that you make. This machine not only offers stylish good looks with its stainless steel exterior, but it’s easy to use. You can either utilize ground coffee, or you can purchase pods with pre-ground coffee. These make it even faster and easier to get the perfect espresso. In addition, the machine features a self-priming system, so you don’t have to do anything upon startup. This means your coffee will be done sooner than ever before. The DeLonghi has a patented “Cappuccino System” for its frother. This automatically mixes steam and milk, creating a rich and foamy froth that produces perfect drinks every time. No longer do you have to worry about getting your milk just right, because this machine will do it for you. It will also brew your espresso at the perfect temperature every single time, because the water and steam each have their own thermostat. The machine is well-known for lasting a long time, due in part to its stainless steel boiler. This resists damage due to moisture and the potentially corrosive ingredients in coffee, so you don’t have to worry about repairing or replacing the machine. 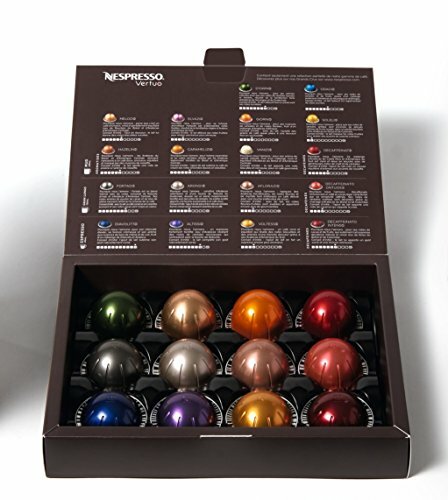 The Nespresso is an unusual-looking espresso machine, made for people who don’t have much space in their homes or kitchens. Sitting at 4.6 x 12.6 x 9.1 in, it can fit into a small corner, or even on a shelf is you don’t have the counter space. It’s also a good looking machine, with a titanium exterior that should fit well into every kitchen. Finally, the machine is a conversation piece, as people will ask about its unusual shape and you’ll get the chance to share your love of espresso with them. The machine is especially powerful, offering 19 bars of pressure. This is more than most machines in this class have, and it means you can make even better espresso. Its 23.8 oz water tank allows you to make plenty of coffee, and the energy power save mode means that you can save electricity as well as space. You will need to purchase Nespresso pods to use with this machine, as that’s part of why it can be so small. 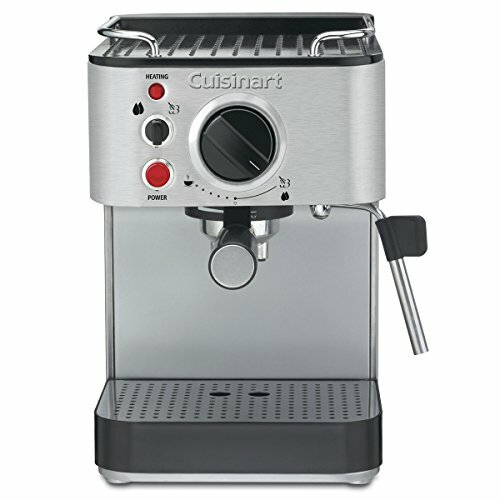 Like most machines in this category, the Cuisinart can use either ground espresso or coffee pods, and offers 15 bars of pressure. While this isn’t exceptional, it does mean that most people will be able to get the taste they’re looking for from this machine. When it comes to practical features, this machine has many. It offers a steam nozzle and a frothing cup, a removable drip tray, and a tamping tool. You won’t need to purchase any accessories separately if you choose this one. Its 53-ounce water reservoir is on the large side, and it has a cup-warming plate so your drink can stay toasty.